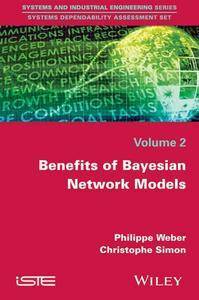 The application of Bayesian Networks (BN) or Dynamic Bayesian Networks (DBN) in dependability and risk analysis is a recent development. A large number of scientific publications show the interest in the applications of BN in this field. Unfortunately, this modeling formalism is not fully accepted in the industry. The questions facing today's engineers are focused on the validity of BN models and the resulting estimates. Indeed, a BN model is not based on a specific semantic in dependability but offers a general formalism for modeling problems under uncertainty. This book explains the principles of knowledge structuration to ensure a valid BN and DBN model and illustrate the flexibility and efficiency of these representations in dependability, risk analysis and control of multi-state systems and dynamic systems. Across five chapters, the authors present several modeling methods and industrial applications are referenced for illustration in real industrial contexts.